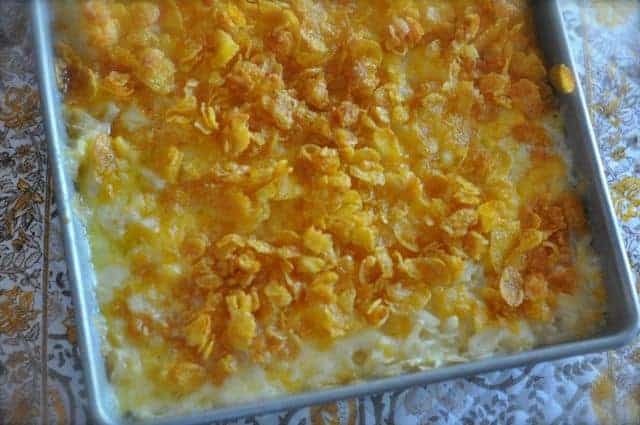 This is simply a delicious casserole that contains both codfish and potatoes that give a great tasty combination of fresh flavor. This recipe will serve 4 people, but to make more just double the ingredients. This tasty fish casserole will serve great for lunch or dinner. It will surely please the family. It is delicious served with hot buttered rolls or a green salad. It is excellent for serving at pot luck dinners or buffet style parties. It is also a great dish to bake for holiday parties. It is a healthy and hearty meal that the whole family will enjoy. Leftovers may be easily saved in the fridge and may be reheated in the oven or the microwave. This dish is also excellent for serving with hot garlic bread. This is a very simple and easy recipe to prepare as it will only take 20 minutes prep time. The casserole takes about 1 hour to bake. That means less time standing over a stove. It is a great meal that takes less time to prepare and cook than most casseroles. It is a wonderful way to serve fish and it is more healthier because it is baked and not fried. This casserole has a nutritional value that is high in potassium and protein. I use codfish in preparing mine, but some recipes do differ in that they may call for a different type of fish such as pollock. I hope that you will enjoy preparing and serving this delicious dish to your family as much as I do. 1. Lightly oil a casserole dish and place half of the potatoes, onion, and shallots in the dish. Sprinkle with salt, and pepper. 2. Cut the cod fish inti bite size pieces and place over the potatoes and onions. Sprinkle the parsley, garlic, and hot sauce and some olive oil. 3. Make another layer of potatoes and onion. Season with salt, pepper and more olive oil. 4. Cover the casserole dish and bake at 350 degrees F for 1 hour. Top with more parsley before serving. Enjoy! Posted on May 23, 2016 by Kathi. This entry was posted in Recipes. Bookmark the permalink.